Considering the breathless press releases and countless panels at the Los Angeles Auto Show (LAAS) last month devoted strictly to autonomous driving — and the nearly infinite ways the technology would profoundly influence every aspect of our society — it is clear the topic du jour in automotive circles is self-driving cars. But perhaps the most surprising trend to arise out of the LAAS in 2014 was not who will be driving our cars in the coming decades, but rather how they will be driven. Or rather, powered. Until now, hybrids and plug-in electric vehicles have been the belles of the alternative energy ball — the Great Green Hope for those who wish to see humanity distance ourselves from an over-reliance on fossil fuels. But several automakers are transitioning agendas, hedging their bets on hydrogen fuel cell technology instead. 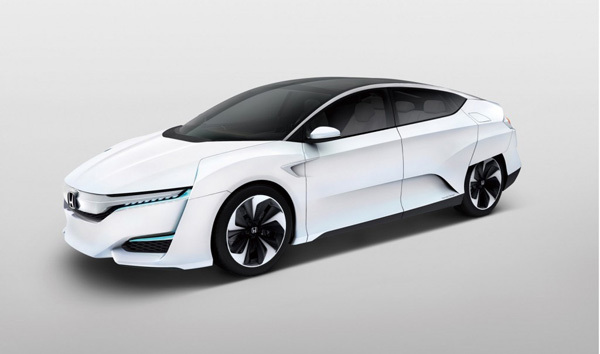 We’ve heard the siren song of hydrogen-powered vehicles before, however — Toyota has been tinkering with fuel cell vehicles (FCVs) for 20 years now, and Honda introduced its first back in 2002. So what has changed? Why is the technology suddenly relevant again? What are its true benefits and disadvantages? 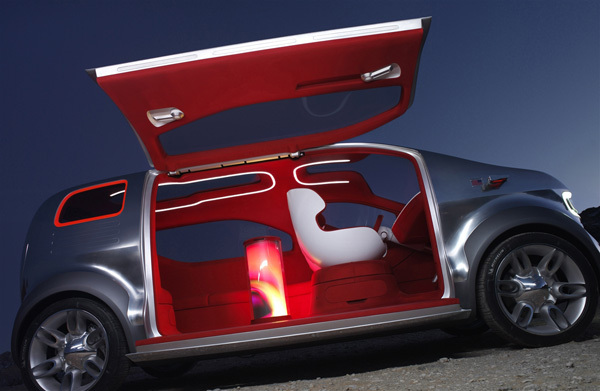 And what vehicles are currently being developed to bring this bold technology into the future? Climate change is real. If you don’t believe in it, and the 99% of credible scientists who support the concept, then stop reading now. Better yet, shut off your computer and throw your iPhone in the toilet. You don’t get the right to cherrypick your belief in “science” — either you believe in the institutions that created the technology you use every day, or you go back to tossing rocks at rodents for sustenance. Make a choice — you can’t have it both ways. The second largest contributor to climate change in America burps from the vehicles human beings drive every day, accounting for 33% of carbon emissions. To drastically decrease the amount of carbons we dump into the atmosphere, to clean up the air we breathe every day, and to decrease our dependence on foreign oil we must transition to vehicles powered by alternative and renewable fuels: electricity, hydrogen, natural gas, biomethane, ethanol, renewable diesel and biodiesel. Hydrogen zero-emission FCVs function very similarly to electric vehicles (EVs) in that electric motors are used to turn the wheels and make them go. 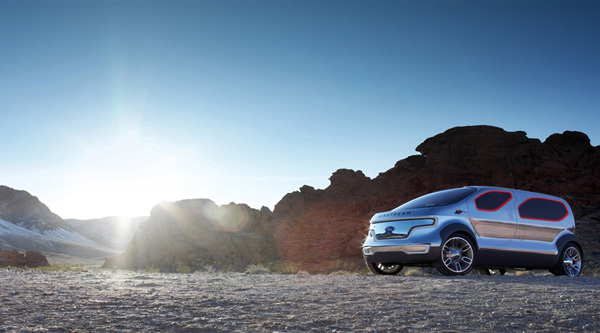 Instead of batteries supplying the required energy, however, power is created in fuel cell stacks that convert compressed hydrogen gas into electricity. BMW experimented in 2007 with its Hydrogen 7, a 7-Series sedan that modified its traditional petroleum-powered internal combustion engine (ICE) to run on liquid hydrogen. Similarly, the following year Mazda delivered hydrogen versions of its RX-8 and Premacy van to Norway for use in its HyNor project. Like the BMW Hydrogen 7, Mazda’s Hydrogen RE vehicles were bivalent, aka dual-fueled, meaning that beyond hydrogen capabilities they could also be powered with gasoline in situations where hydrogen wasn’t available. The two major differences between the automakers being: 1) Mazda’s engines were rotary, which they claim are better suited for hydrogen use than piston engines; and 2) Mazda, like all other automakers, used compressed hydrogen gas instead of BMW’s liquid hydrogen. But both engines have their drawbacks. While these bivalent systems are the most convenient they are even less efficient that gasoline engines, hampering their environmental efficacy. The benefits to FCVs are simple. You can fill them quickly at a refilling station in 5 to 7 minutes, like regular gasoline cars, and they usually have a long range (250-400 miles). This is in contrast to EVs, which can take hours to fully charge and are usually limited to fewer than 100 miles — resulting in consumers’ much referenced “range anxiety”. FCVs also offer a major advantage over EVs in that hydrogen can be used to power large vehicles. Nevermind behemoths like construction vehicles or tractor-trailers that are way beyond the scope of battery power, EVs also cannot be used efficiently as pickup trucks or SUVs. This severely confines their real-world application. The obstacles to FCVs are equally simple: they are very expensive to make, and there is currently no infrastructure to supply hydrogen to the public. While the former can be addressed through economies of scale, the latter is clearly a massive obstacle. Currently there are only nine hydrogen stations in the entire state of California, which means there’s simply nowhere to conveniently refuel your vehicle. Which underscores hydrogen’s critical chicken-or-the-egg conundrum: who will buy FCVs if there is no place to fuel them? And who will build the refilling stations if there’s no one to consume the hydrogen? At a cost of about $1 million for each hydrogen station, that’s an investment no one will dive into without significant support. Unlike a decade ago when the first FCVs were being conceptualized, things are clearing up for FCV 2.0. Last month Honda announced a $13.8 million loan to a startup called FirstElement to help them build about a dozen more hydrogen refilling stations in California. This is in addition to the $7 million that Toyota already lent FirstElement to build 19 stations (along with state funds). But we cannot expect California to play Atlas, shouldering the entire burden of hydrogen infrastructure. In a matching announcement from the LAAS, Toyota (in conjunction with French hydrogen suppliers Air Liquide) agreed to build a dozen hydrogen stations around New York and Boston to open up FCVs to the Eastern seaboard. California Assembly Bill 118 created the California Energy Commission’s “Alternative and Renewable Fuel and Vehicle Technology Program” (ARFVTP) in 2007. The competitive grant program was set up to provide $100 million a year towards innovative transportation and fuel technologies to help California meet its ambitious energy, clean air and climate-change goals. ARFVTP has committed $200 million to building up to 100 more hydrogen refueling stations by 2020 — a crucial step to deflate the 800-lb gorilla choking the Great Green Hope of hydrogen. When there is finally a supply of the fuel for the consumer, then vehicles must exist that demand that fuel — and automakers are finally stepping up with viable options. While some have argued that automakers supporting FCVs over EVs are doing so to spite the competition — i.e. to needle Nissan, GM and Tesla, the definitive leaders in EV technology — there is much more to it than that. It’s becoming evermore clear that these major manufacturers are starting to believe that the resolutions to FCV’s major deficits are on the horizon. In their long view FCVs’ disadvantages are becoming more manageable, and believe the platform will provide a better “green” solution than EVs ever will. After all, if (or when?) the infrastructure exists, hydrogen’s long range, quick fill-up time and ability to power larger vehicles will make it much more convenient than battery-powered EVs. Of course, that is a Godzilla-sized if. Hyundai already leases its Tucson Fuel Cell to the public, and the Mercedes-Benz F-Cell has been in showrooms since 2012. 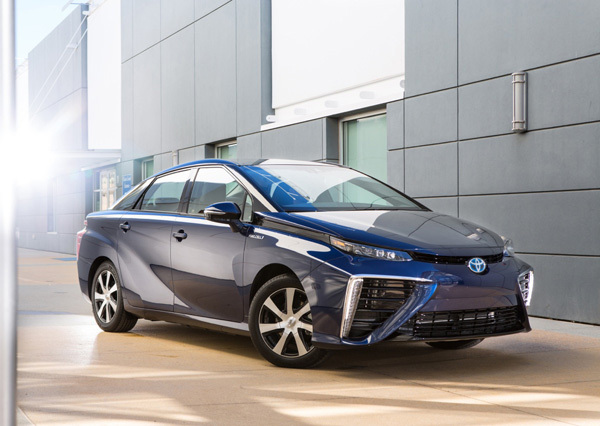 But the most reinforcing stake in the ground for real-world hydrogen viability was last month’s unveiling of the 2016 Toyota Mirai — the first FCV that an American citizen can actually buy. Not lease, mind you, but purchase and call his own for $70,000. Sure, that’s a lot of coin to pay for a car that looks like an angry Prius mated with a Dirt Devil. But like the Hyundai Tucson Fuel Cell, the Mirai comes with free fuel, forever. A significant concession. And with a 300-mile range, 5-minute refuel and 0-60 click of about 9 seconds, the Mirai is a real-world daily driver. Toyota is so bullish on hydrogen, in fact, that Chairman Takeshi Uchiyamada projected sales of the Mirai to reach the “tens of thousands” by 2020. Honda takes a slightly less sanguine viewpoint. President Takanobu Ito earmarked 2045 as roughly the year where FCVs will experience some sort of ubiquity. “Perhaps it’s too optimistic to say in 20 years’ time,” Ito said recently, “but I dream of seeing a considerable number of fuel cell vehicles running on the roads 30 years from now.” Ito’s restraint may be somewhat due to the failure of Honda’s FCX Clarity hydrogen car, which was discontinued this year after leasing only 45 units since its 2008 debut. The Japanese automaker did however tease the FCX Clarity’s successor, the aptly named Fuel Cell Vehicle, and promised to debut the production version at next month’s Detroit Motor Show. BMW, who is widely considered a major backer of EV technology — with big investment in their high-profile i8 and i3 plug-in EVs — is also hedging its future with hydrogen by signing a technology-sharing agreement with Toyota (they’ve previously signed deals to share diesel and lithium-air battery technology). BMW aims to begin developing a prototype FCV next year, with a potential production car targeted for 2020. Meanwhile, BMW’s biggest competitor — the mighty VW/Audi/Porsche triumvirate — is making it well known they have their own ponies to parade. VW introduced its two FCVs at the LAAS, the Golf SportWagen HyMotion and the Passat HyMotion. What makes the SportWagen HyMotion notable is that it is built on VW/Audi’s highly adaptable MQB architecture, proving that if they so desired the group could install the powertrain on any car that uses the chassis (which includes everything from the Audi TT and A3 to the VW Golf, Passat and Tiguan). That future adaptability means that if the market demanded, VW/Audi could have dozens of FCV models on the streets in no time. But VW execs were quick to stress they would not be launching any production HyMotion vehicles until the “conditions are right”, so infrastructure will play a big role in its development. Stealing the hydrogen spotlight, as they are wont to do, was Audi, with the unexpected unveiling of its H-Tron Quattro concept. 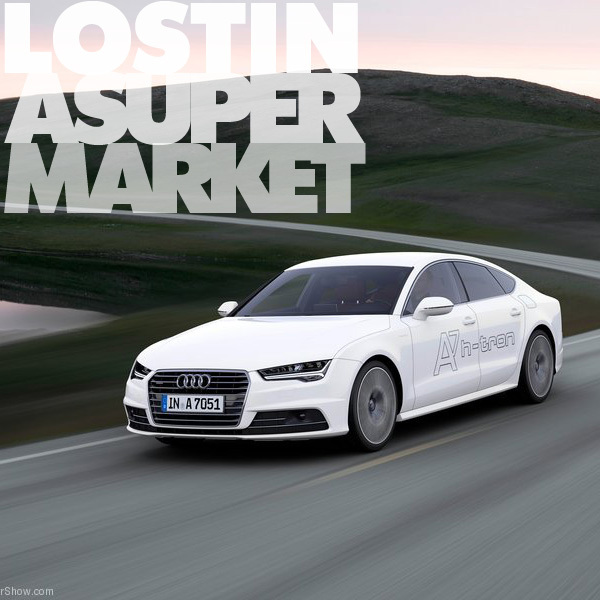 Trumpeted as the “first performance fuel cell vehicle,” the converted A7 Sportback combines a hydrogen fuel cell powertrain with a plug-in battery system. The H-Tron concept is powered by hydrogen, but can be boosted via a jolt from the lithium ion batteries (which in turn are charged by the fuel cells) for a total of 398-lb-ft of torque. Since it’s a true Quattro, the H-Tron features motors on both axles, allowing the concept car to hit 0-62 mph in only 7.9 seconds en route to a 112 mph top speed. Not bad for a 4,300-lb executive saloon with a 300+ mile range. In essence, Audi’s H-Tron Quattro is an alternative fuel vehicle for those who don’t want to surrender a modicum of action, or luxury. Although Audi didn’t mention it, they’re not the first major automaker to offer a plug-in series hybrid hydrogen system. 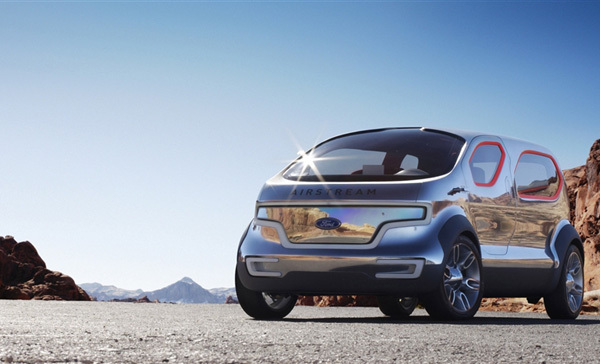 In 2007 Ford showed off their PHEV Airstream Concept at the Detroit Auto Show, powered by their HySeries Drive. 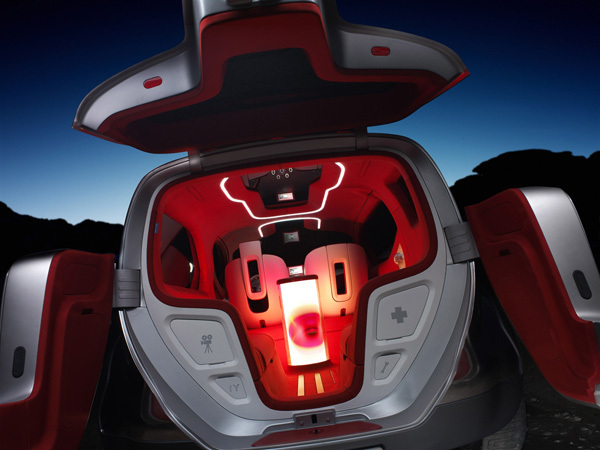 Its plug-in lithium ion battery system could be recharged by an onboard hydrogen fuel cell. The Airstream Concept was the first drivable hydrogen fuel cell vehicle in the world with plug-in capability… but don’t tell Audi’s PR. Nearly 250,000 plug-in EVs have been sold in the USA, with more than double that amount worldwide; it’s clear battery-powered EVs are here to stay. Electricity is abundant, the technology no longer scares John Q Public, and the best–selling EV, the Nissan Leaf, continues to move units (more than 10,000 EVs were sold this past summer every month, with sales dipping as gasoline prices plummeted). But in an ideal green world, FCVs and EVs would co-exist in a rainbow-filled future bristling with renewable energy. EVs would dominate small vehicles — everything from compact cars to motorcycles — while FCVs would move the world we live in. While technology-thirsty early adaptors, kale-sifting liberals and Leonardo DiCaprio will spearhead consumer appetite for alternative fuel vehicles, they will not form the bulk of demand. In order for any of these fuel sources to really make a dent in petroleum demand (and corresponding climate change), the common consumer will have to desire these vehicles as well. But as the sales curve of EVs have proven over the last couple years, demand will only rise if the vehicles provided are economically sound (i.e. save you money both in the long- and short-term) and convenient (do not require a radical change in behavior). Of course with FCVs, they also have to face the added challenge of developing the necessary infrastructure. Only time will tell if this future will come to fruition.